QPLIX offers you a holistic solution for wealth management. The platform is accessible, irrespective of space and time. It has many different APIs to collect and consolidate data. Our connections to banks, custodians and accounting systems offer you an automatically synchronization of your data. To ensure that your data is safe, it is encrypted and stored in our highly secure German data centers. There‘s no need for on site hardware and time-consuming software installations. Our platform is accessible from practically anywhere and is frequently updated with the newest version. So there‘s really nothing you have to do here. Log in and you‘re ready to go. QPLIX brings all your data to one place. It has an integrated Thomson Reuters Market connection and, as shown in the diagram to the right, a wide variety of out of the box data connectors. Our data connections to banks, custodians, administrators, business apps, accounting systems etc. enable you to avoid manually synchronizing data e.g. via spread sheets. After your sources are connected, QPLIX automatically collects and consolidates all available data to make sure that you can work with the latest available information. The data is channeled through a security layer and filed in the respective structure. Our intuitive reporting system allows you to create customized reports from this data basis in an instant. All of your data is encrypted and stored in our highly secure German data center, replicated to multiple different locations. The system access is protected by two-factor authentication security and at least two independent security systems. The structure of QPLIX is designed to cover all aspects of investment and wealth management in order to simplify all associated processes. In the core, QPLIX offers native support for a huge variety of assets and is therefore able to display the diversified wealth as a whole. This acquisition of data is accompanied by powerful tools for analytics and allocation. 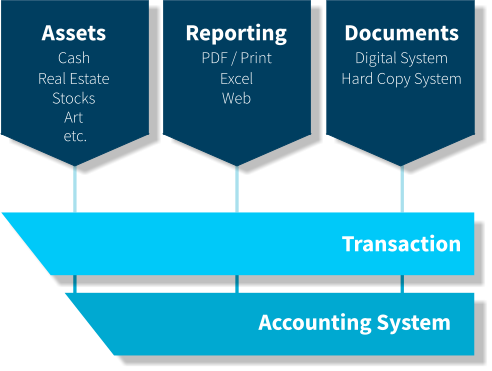 Furthermore QPLIX handles the document management for all these investments and transactions.  Reports are always readily available and are customizable for the respective purpose. Last but not least all of the mentioned is recorded in the system’s underlying accounting system, which automates your bookkeeping tasks. Want to discover more about how QPLIX can make things simple for you? For every QPLIX user you need a PC or Mac with a current Chrome or Firefox browser. For your location you need an Internet connection with more than 6 Mbit – for intensive use of the document management feature or many parallel users we recommend a connection with more than 16 Mbit. A screen resolution of at least 1920×1080 pixels is recommended. Optional: To use our Excel-Addin the QPLIX user needs a Windows PC with Microsoft Office 2010 (or newer) in a 32 bit version. Optional: For intensive work with documents, transaction recording or data synchronisation/controlling, we recommend the use of two monitors.